Disclosure: I received free Zespri Kiwifruit as part of an event I planned. I was not asked nor compensated to write this post. Surprise! 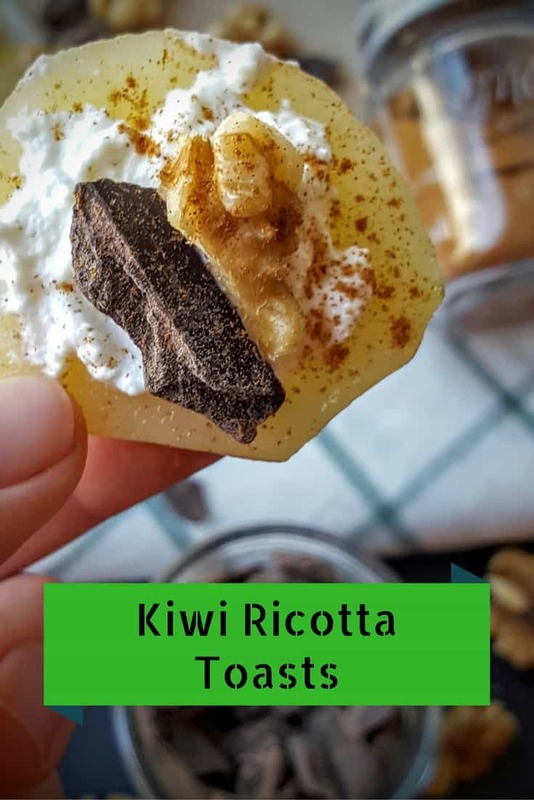 I’m sharing these quick and easy Kiwi Ricotta Toasts with Chocolate & Chopped Walnuts with you today! Well, today is a very special day. My good friend and blogger at Family. Food. Fiesta, Sarah Kosyzk, is soon to be a brand new mama! Long story short, Sarah and I became #instafriends this past March when we connected through the Nutrition Entrepreneurs group through the Academy of Nutrition and Dietetics. 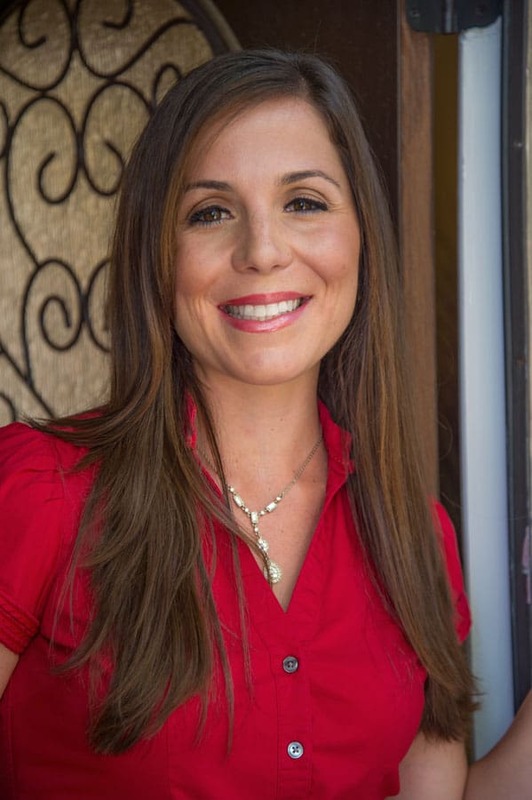 Sarah is the current Chair of our Dietetic Practice Group while I sit as the Incoming Mentor Services Coordinator. Regardless, when we connected, I knew this woman was going to be a lifelong friend of mine. We chat nearly every day in some capacity, whether it be text, social media shares, emails or calls. She’s just one of those people that make you smile, and everyone surely needs one of those in their life! But, when I recognized I wouldn’t be able to shower this new mama to be with a in person party, I knew I needed to come up with an alternative that could unite her dietitian family across the nation. Enter, the #babykoszyk Twitter Party! A hashtag chat, sometimes called a tweet chat or Twitter party, refers to the collective use of a specific hashtag within a specified time, mostly with the goal to promote an event or move a cause forward. So… this Twitter Party is 100% devoted to showering the lovely Sarah with #babykoszyk love! Now, the Kiwi Ricotta Toasts and just how they fit into this? 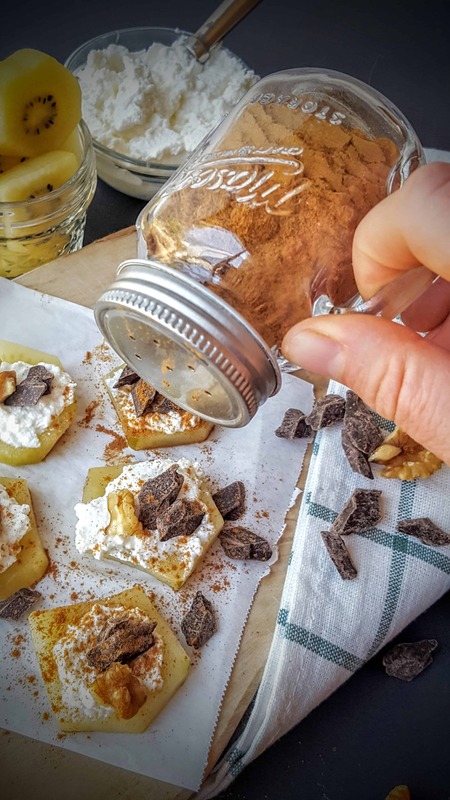 Well, if I were to host a party for #babykozsyk, I would love to create mini bite size eats and treats for Sarah’s friends and family to enjoy. But, we know it’s challenging sometimes trying to accomodate the different dietary needs of your different guests. Plus, I like to add a touch of love (aka, cinnamon) to give a nice kick. And, bonus, cinnamon helps balance blood sugars, making this a super stellar snack! 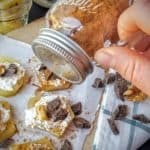 Bite size Kiwi Ricotta Toasts are the perfect gourmet treat to enjoy morning, noon or night! Plus, they make the perfect mini treat for a party! Remove skin from kiwi and slice kiwi into 1/4 inch circular toasts. (Each kiwi should yield about 6-8 slices). Place 1 teaspoon of ricotta cheese on top of each kiwi toast. Garnish with a pinch of chopped walnuts, dark chocolate and cinnamon. For those who like a super sweet treat, garnish with a drizzle of honey. To make vegan, use a legume based spread like a dessert hummus and omit honey. 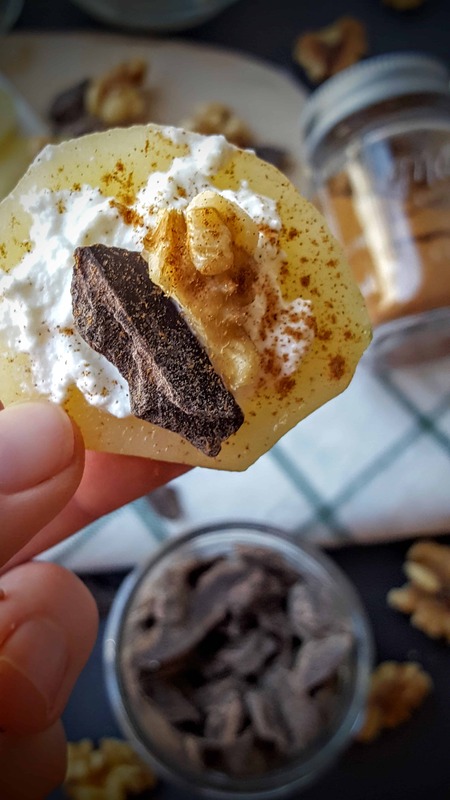 Don’t worry if this isn’t your cup of tea because the lovely healthy foodie friends of #babykoszyk have you covered with these awesome bite sized treats below! Rest assured, any baby shower is sure to be complete with any of these on your menu! What a sweet virtual baby shower! And these toasts are pretty darn phenomenal! Like I was saying yesterday, your photos are the bomb! You are far to kind, but thank you Sonali! I try to mimic the best ones I know! AHAH, no worries! You are so awesome to join the Twitter chat and you’re great recipe! The #babykoszyk twitter chat was so much fun today! Thank you for organizing! And thanks for including some of my mini-bites in this delicious roundup. Now I just need an in-person baby shower to go to so I can bring them all! This is so creative! Love this idea. I happen to have ricotta in the fridge right now!